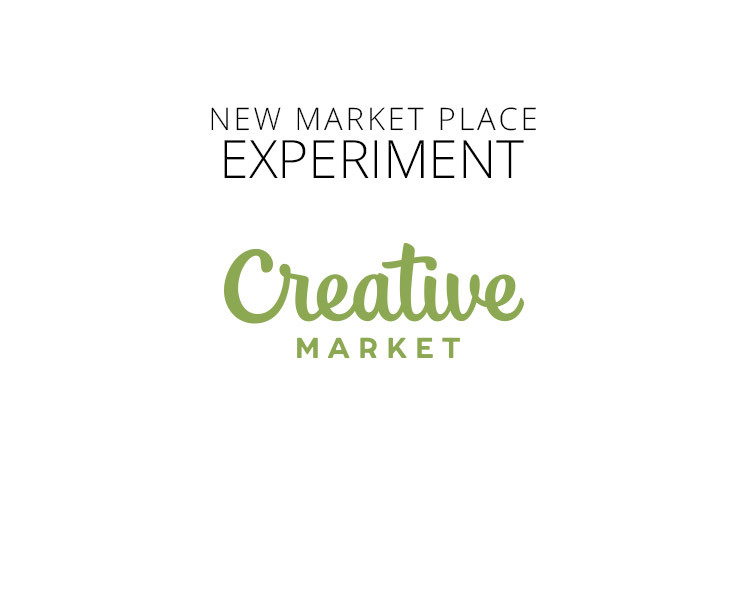 We have recently branched out into a new market place called Creative Market to sell our Photoshop graphics. We are looking forward to exploring the potential of this new market and will report back with our experiences soon. In the mean time check out our brand new files up for sale now. We are selling watercolour artwork PNGs, full website design layouts in Photoshop and graphic snippets. They are designed to be purchased by website designers needing to get a client project started for minimal cost. The Photoshop files are clean with well organised layers, all layer styles are still active (not flattened) so you can easily change colours and apply styles to your own images. 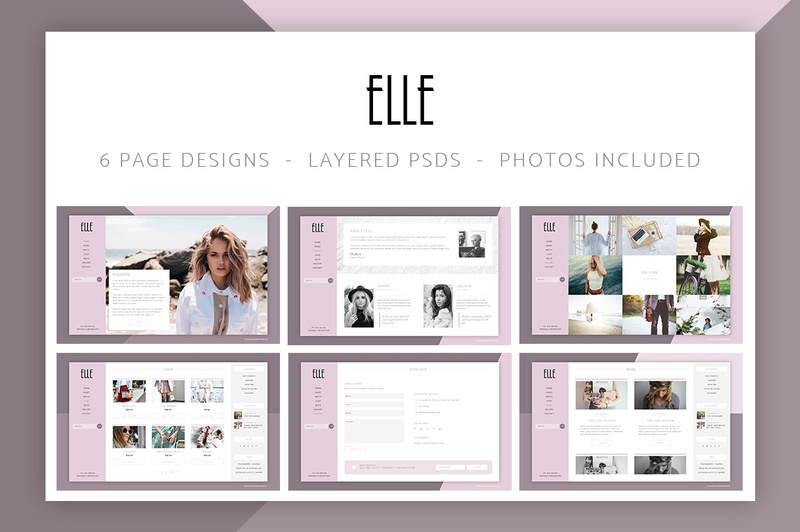 Elle – is a modern website design featuring shades of purple, pink, black and white. The design is a full screen layout with a side menu bar, large photos and geometric backgrounds. 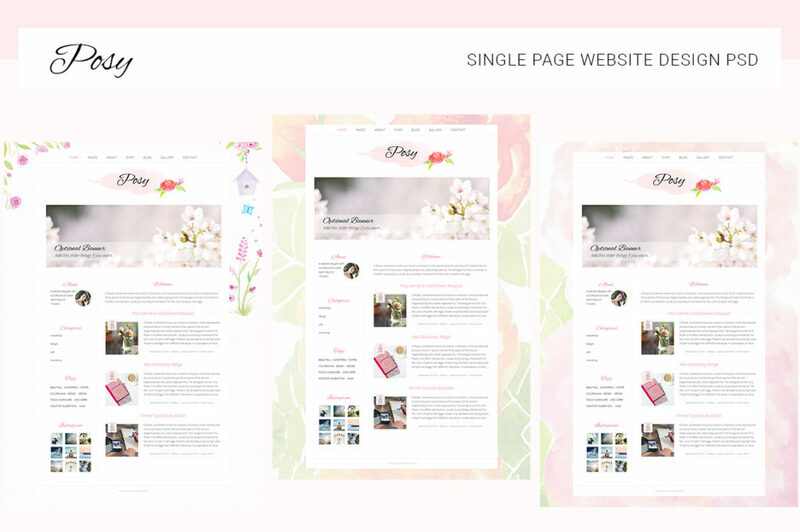 This design is suited for photography, fashion, magazines, interior design, blogging, lifestyle or beauty websites. 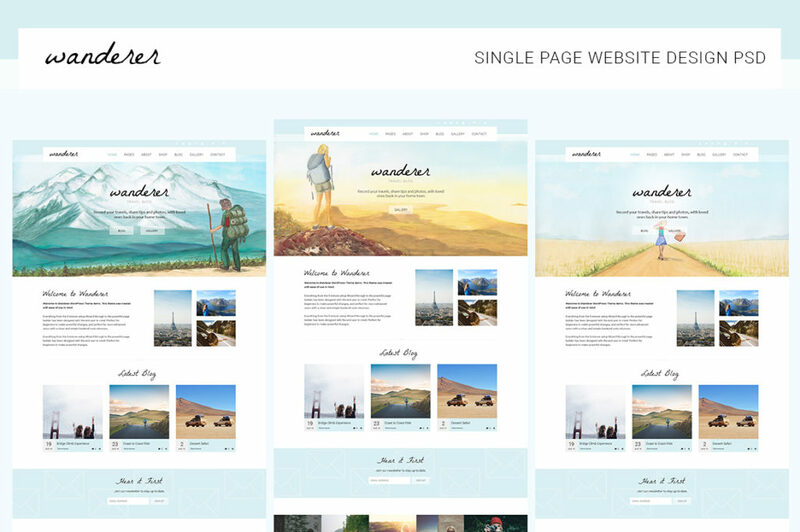 Grab this template today to get your website design off to a flying start. 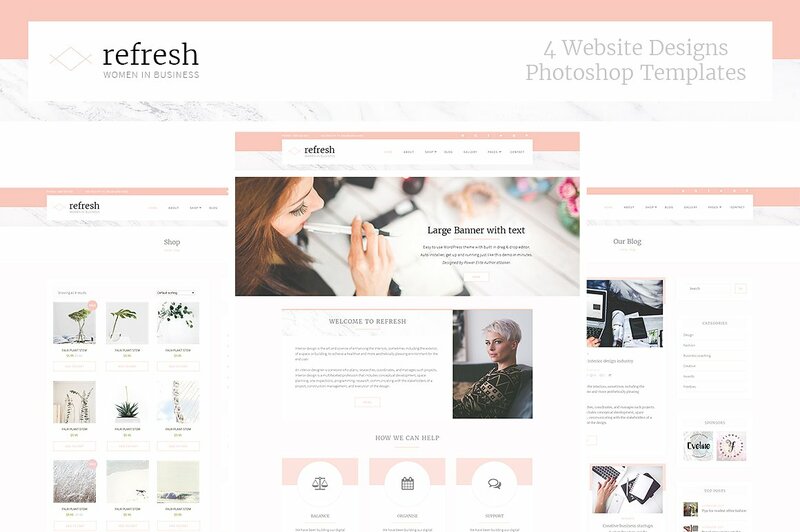 Refresh – Women in business is a website design featuring rose gold/peach & grey colors. 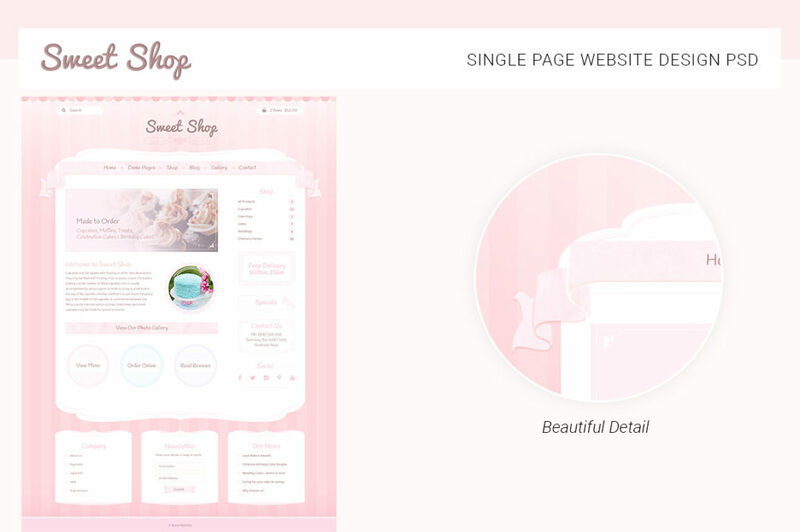 The design is clean and clear perfect for a corporate website with a feminine touch. There is a marble texture featured throughout the design and thin underlines. All fonts, photos and textures are included, there is nothing else to buy. Enjoy this design. 16 Hi-Res watercolor, multi-coloured leaves and flowers. In tones of blue, aqua, green, purple and pink these water color graphics are a great addition to your print or web projects. 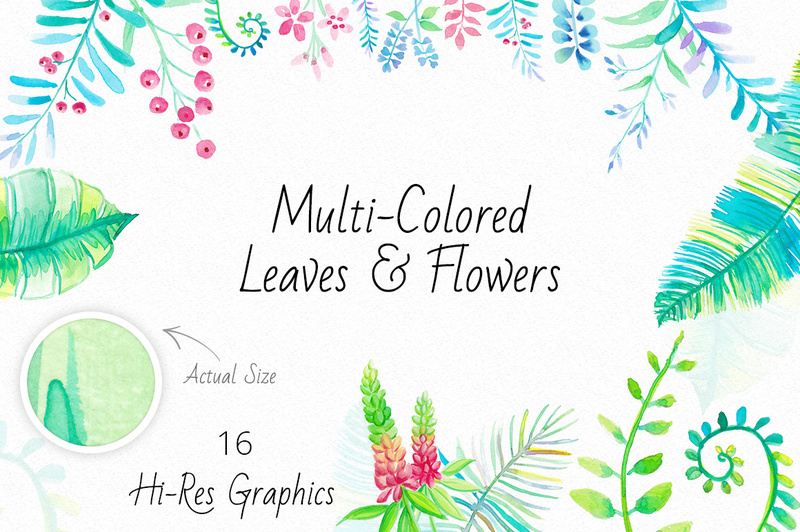 The graphics include: Berries, tendrils, ferns, tropical ginger, leaves, feathers and flowers. All transparent PNG files scanned at 600 dpi. 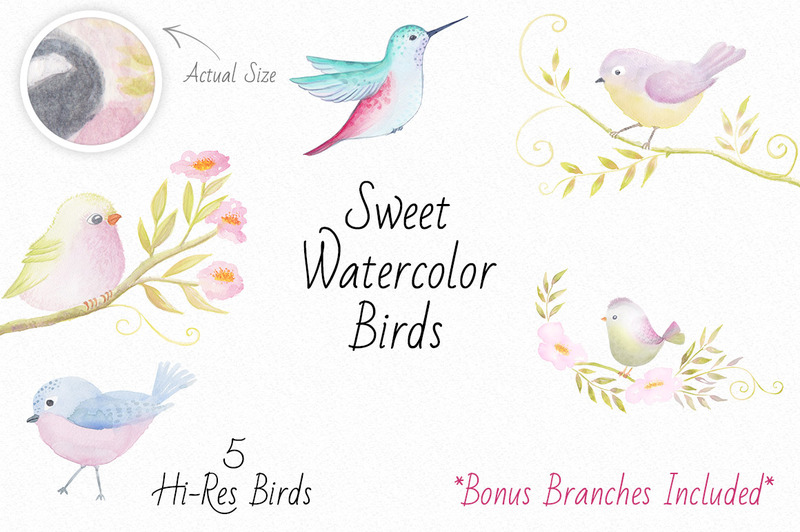 Sweet Watercolor Birds – is a collection of 5 birds with pink, green and blue colouring. They are isolated as transparent PNG files. They were hand-painted and scanned at 600dpi; they are suitable for print projects. I have also included as a BONUS 3 floral branches, for your new feathered friends to perch on. I hope you enjoy using these little birds in your projects. 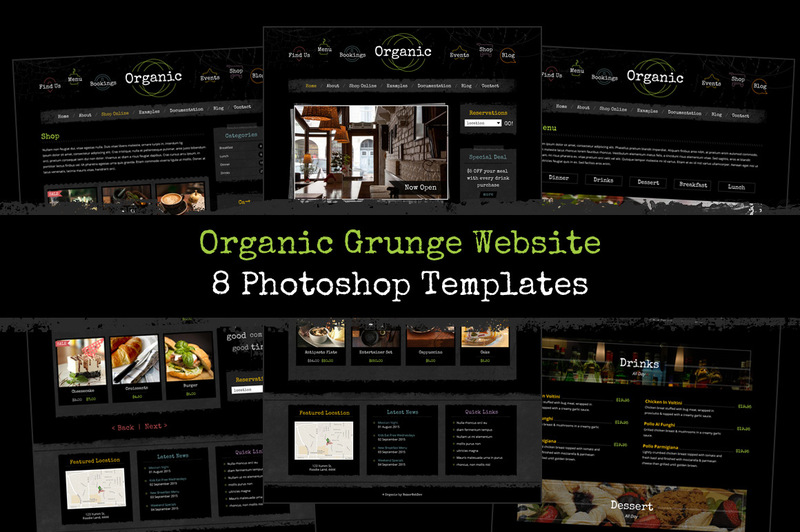 Organic Grunge is a Website template designed for a restaurant, cafe or music related website with a grunge edge. It features a black background and grunge textures. The circle logo and neon icons add a pop of colour to a dark design. A readme file detailing sources is included. 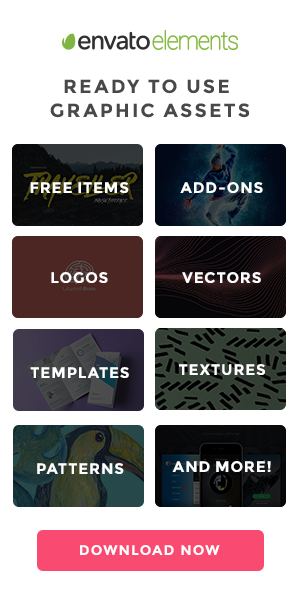 Creative Market holds much potential for us as we have always just been an Envato Exclusive Author. I look forward to letting you know how our sales go.